EFT & The Artist's Way Workshop! Join Us! Sunday, May 3, 11 am to 12:30 pm for "EFT & The Artist's Way Workshop!" 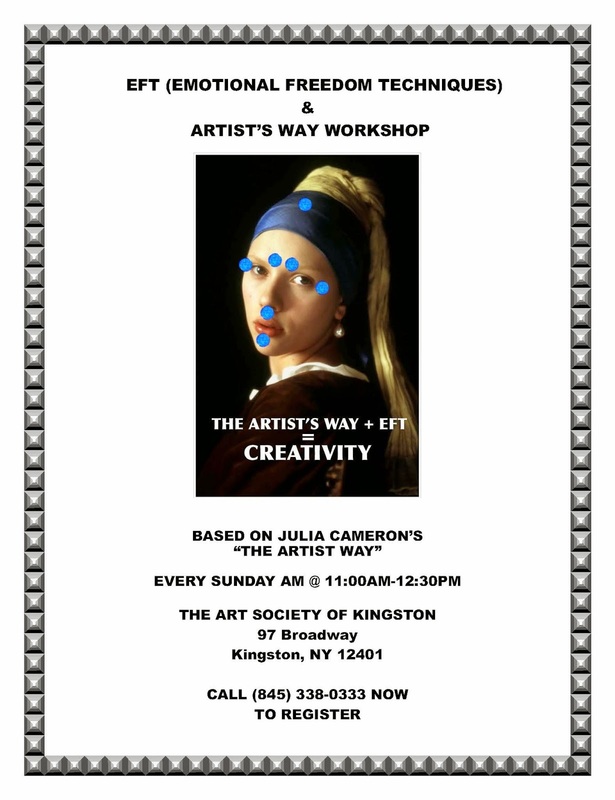 Arts Society of Kingston, 97 Broadway, Kingston, NY 12401. Led by Tony "TG" Parker. EFT, which is used to overcome blocks and challenges to full creativity, and Julia Cameron's seminal work "The Artist's Way," is the basis for this 12-week course on inner (and outer) exploration and creative healing. Open to all creative people: artists, writers, musicians, and craftspeople. The suggested donation for each session/workshop is $10.00. Call (845) 338-0333 to register.